Discussion in 'Pin Showroom' started by ItzaPinfan, Nov 6, 2018. My small but growing Pinocchio collection! Thanks to all who contributed to her at the NorCal Pin Trading event this last weekend. Mike_Mouse, cyke23, timeerkat and 5 others like this. Great collection. I'm buying a collection with lots of Pinocchio in and would be happy to trade you some of it once I get it. 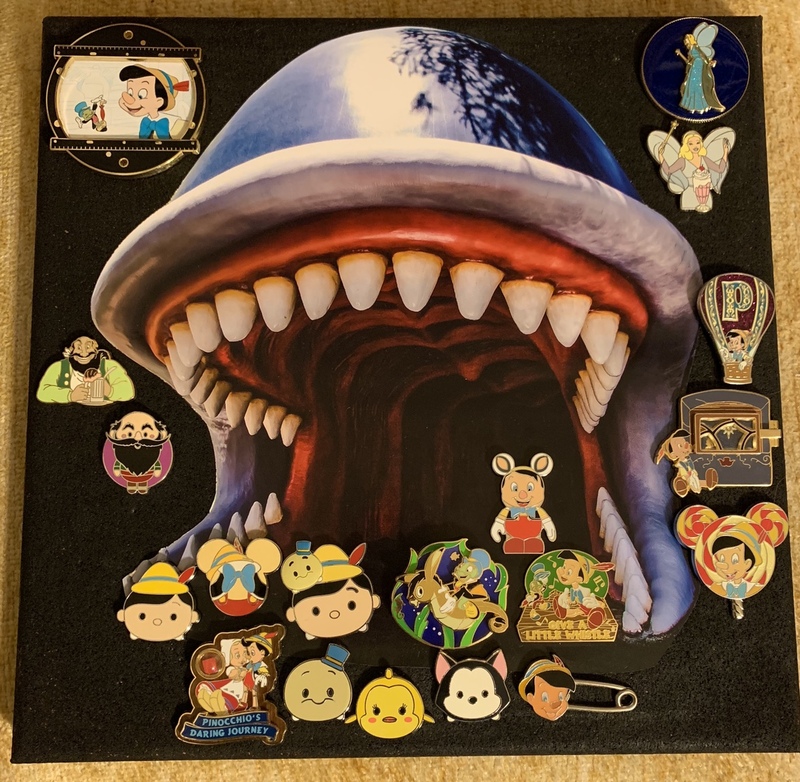 I love your Pinocchio board! So cool! Love the whale pinboard.